Pokemon Go is already going big for 2019. Not only are there a host of new Community Day events, research quests and rewards to get through, there's also a special Hoenn celebration to enjoy. It shines a light on all things Gen 3, with new legendaries, research tasks, and shiny pokemon. There's a fair bit to take in, so we've distilled it down into one handy place. In this Pokemon Go Hoenn Celebration Guide, we'll outline all there is to know about the event. From how you can get your hands on a Shiny Zigzagoon, to a look at the new Kyogre and Groudon legendary raids. We'll also be outlining the full Pokemon Go Hoenn Celebration schedule, and taking a look at some of the Avatar Items that are set to be added in. For more on Pokemon Go, be sure to visit our Pokemon Go Guides Hub. It's a one-stop shop for everything Pokemon Go related. From info on upcoming events, to a look at the very best pokemon in the game, we've got you covered! The Pokemon Go Hoenn Celebration event is one of the biggest that Niantic has run yet. It lasts for two whole weeks, from Jan 15, to Jan. 29, 2019, at 1:00 p.m. PST. New content will be added in periodically as the event progresses, giving players the chance to earn exclusive Hoenn-themed items and rewards. The Pokemon Go Hoenn Celebration event focuses on Gen 3 pokemon. 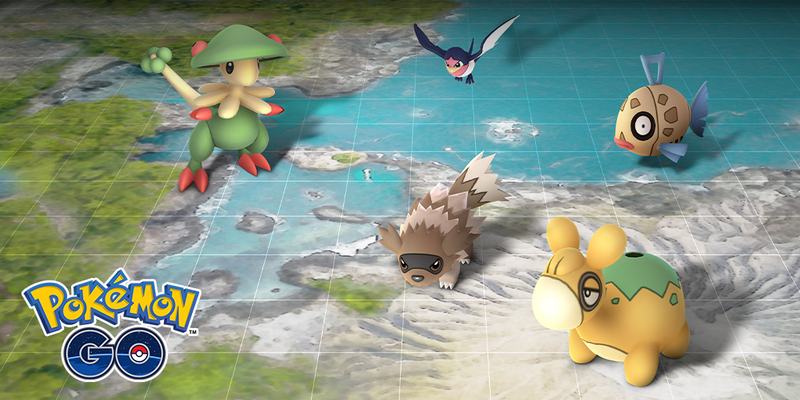 As a result, you'll be able to find more pokemon from the Hoenn region as you explore the world around you. You'll likely see pokemon like Numel, Shroomish and Zigzagoon at first, though there will no doubt be some rarer monsters on offer too. 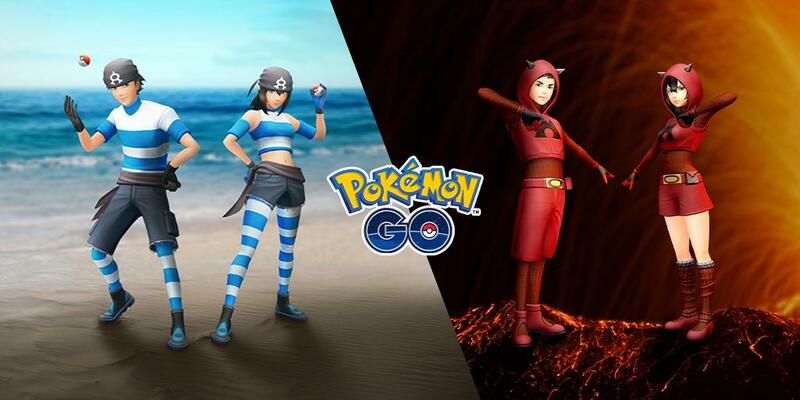 One of the coolest bonuses associated with the Pokemon Go Hoenn Celebration event so far is the Team Magma and Team Aqua Avatar Items that have recently been added in. You can pick them up by heading to the store, where you'll need to spend PokeCoins to bag them. Head here for a breakdown of how PokeCoins work in Pokemon Go. Pokemon Go players that participate in the Hoenn Celebration have the chance to pick up a brand new exclusive move. It's called Grass Knot, and will be learned by every Shroomish that is evolved during the event. 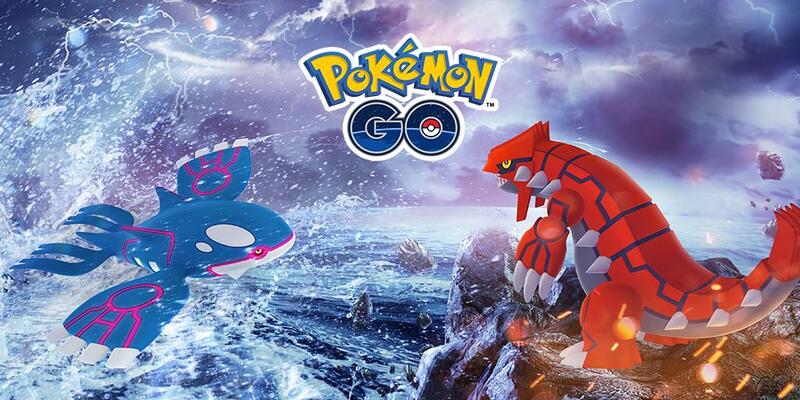 Gen 3 Legendary pokemon Kyogre and Groudon are being reintroduced into Pokemon Go as part of the Hoenn Celebration event. They can be found as Legendary Raid battles across the world. You'll need to be pretty high level to take them on, so be sure to visit our Pokemon Go Raid battle guide for tips. The Pokemon Go Hoenn Celebration event focuses on Gen 3 pokemon. As a result, trainers will be able to encounter a higher number of gen 3 pokemon while out exploring. Shiny Zigzagoon and Shiny Taillow will be appearing more frequently, so get out there and track them down! Finally, Eggs have been tweaked slightly for the Hoenn Celebration event. Gen 3 pokemon are likely to hatch from 7k eggs during the event, though pokemon from other generations are also still possible. For more info on which pokemon can hatch from which eggs, visit our Pokemon Go Egg Guide.